Recently we had guests again from out-of-state who came to visit us here in Iowa. And where did we take them? Bridges of Madison County? Iowa State Capitol? Wind turbines of Iowa? Lots and lots of Iowa cornfields? Seen that. Done that. This time we brought them to the biggest Iowa attraction. No, not the Iowa Caucuses. But something similar with that flair of craziness. 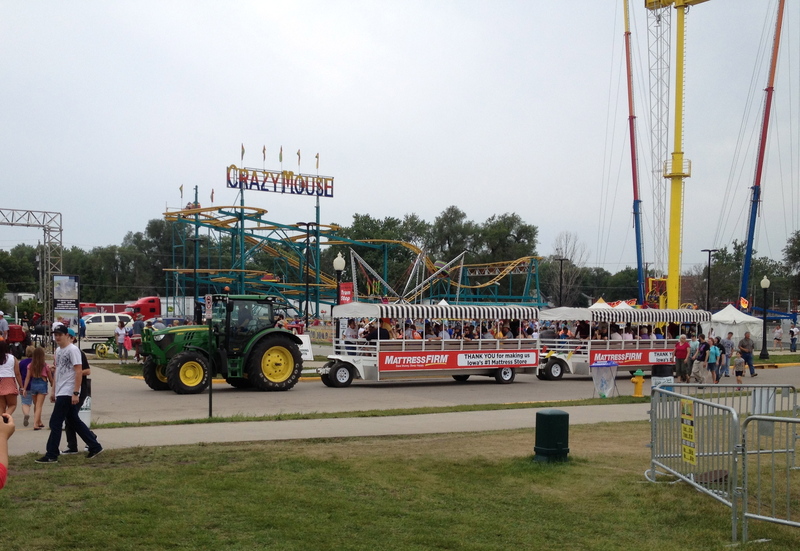 We brought them to the Iowa State Fair. 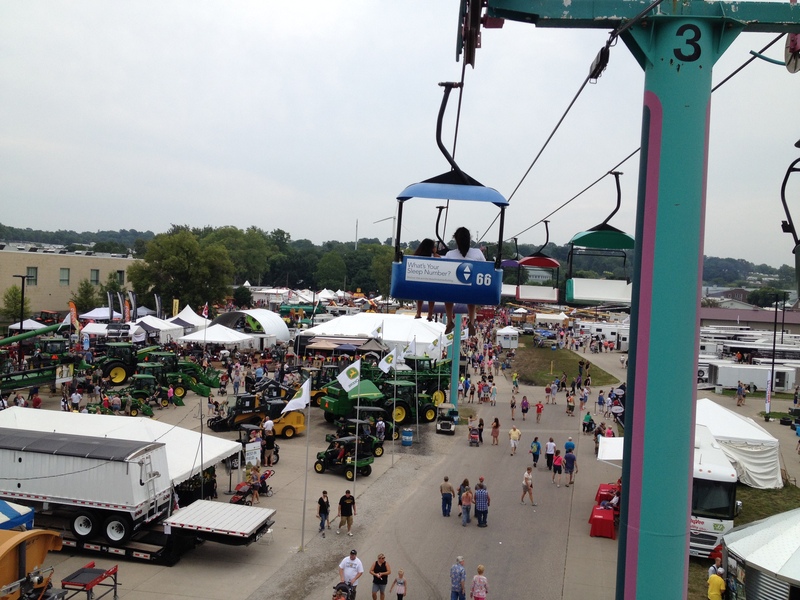 The Iowa State Fair is an 11-day event every August that attracts millions of visitors each year. There is something for all your fancies and interest in the fair. 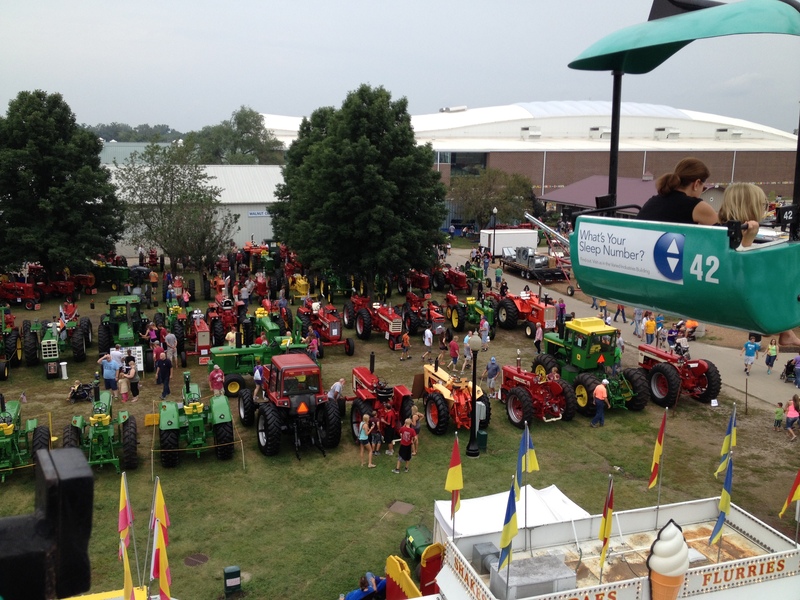 Of course, since we are an agricultural state, it is hard to miss the sights and sounds of farming. 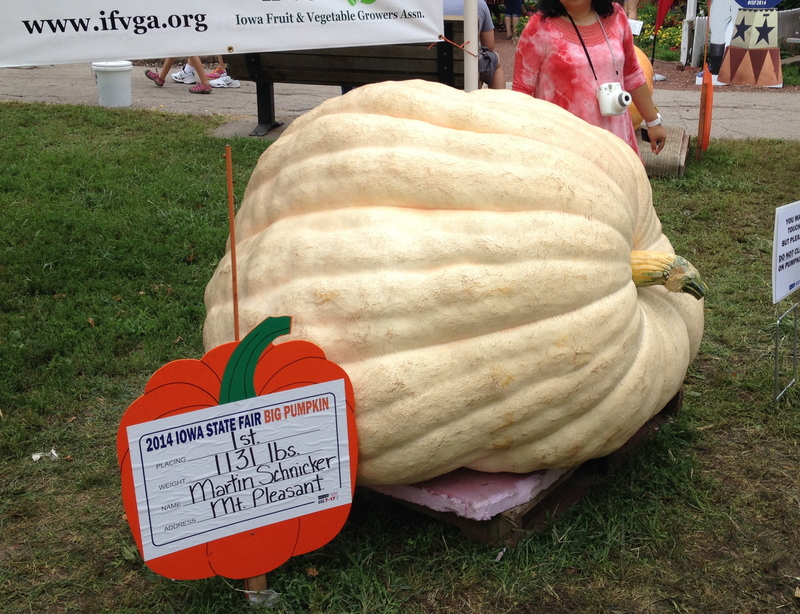 There’s also livestocks and produce that are showcased in the fair, like the heaviest pig or the biggest pumpkin. Below is the 1st price pumpkin. How much pumpkin pie can you make out of this? If you want to experience to milk a cow, you can do it at the milking parlor. 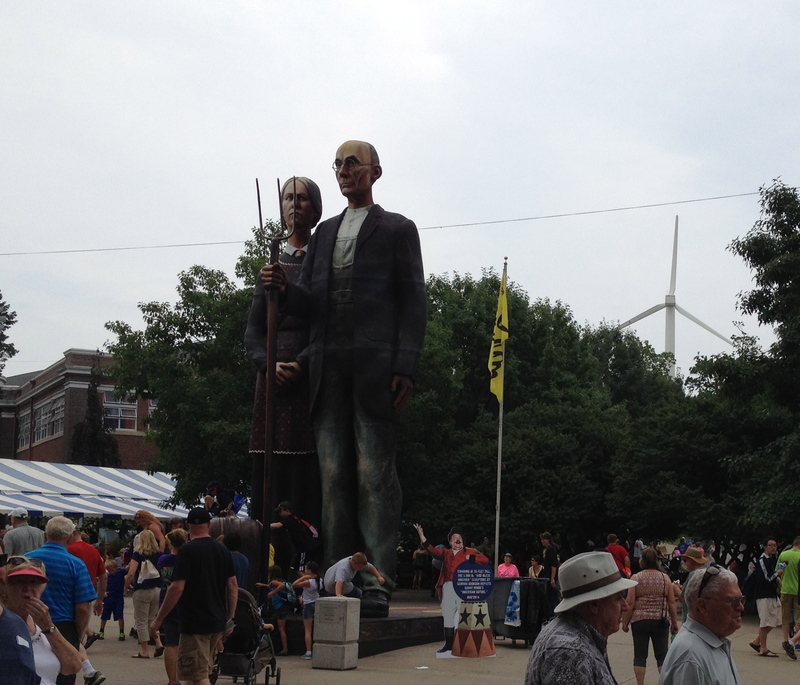 And speaking of cow, one of the most iconic piece of the Iowa State Fair is the sculpted butter cow. That cow is 600 pounds of butter. That can butter 19,200 slices of toast! Do you know that the first sculpted fair’s cow was done in 1911? 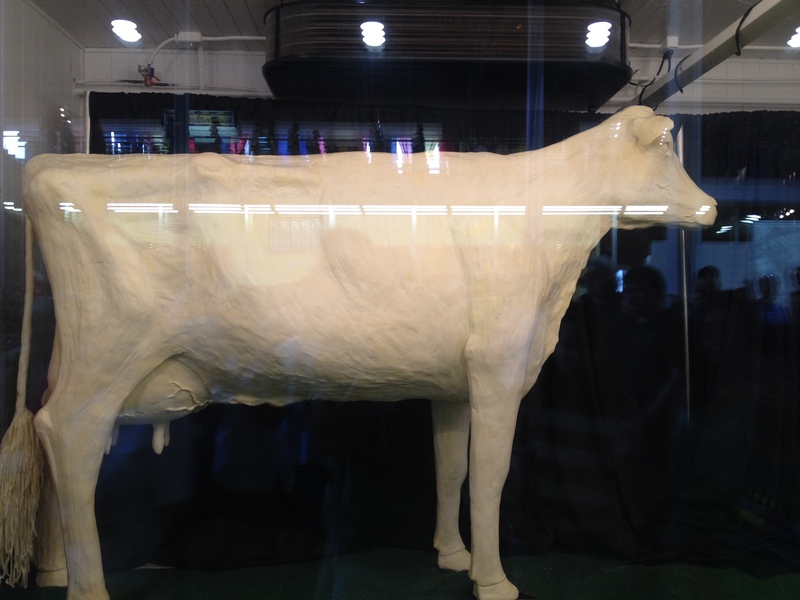 Since then every year a new butter cow is sculpted and graces the fair. But do you know that since 1911, only 5 persons so far have done the sculpting? The latest butter cow sculptor apprenticed for 15 years to the previous sculptor, before she became the official sculptor starting in 2006. What a tradition! There are also different shows and contests. From hog calling contest, to yodeling contest, to rooster crowing contest, to beard growing contest. You name it, it’s here. There’s even a contest trying to get your votes, as you can see political candidates – from presidential aspirants to local government candidates, especially if it is an election year – mingling with the crowds, among other clowns that can be seen in the fair. Did I just call them clowns? There’s also concerts that are more “mainstream” if you will. 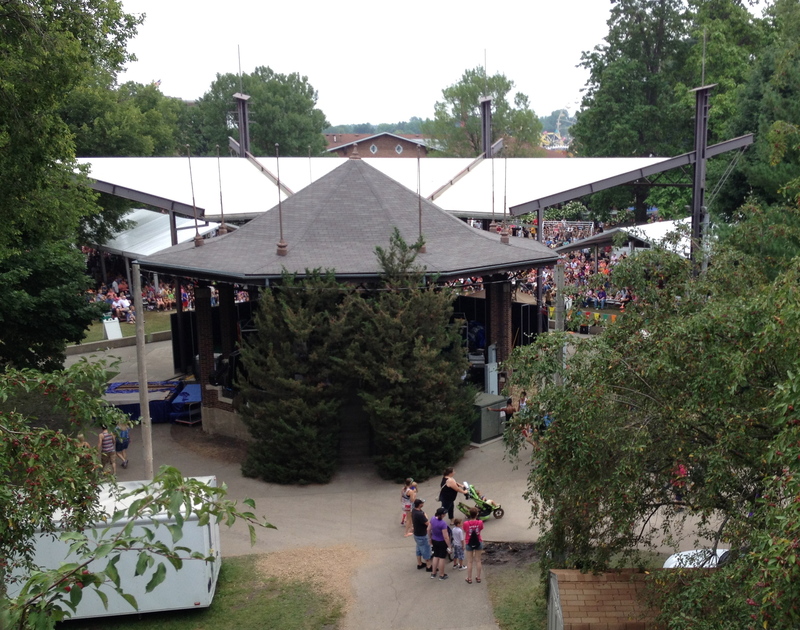 The Goo Goo Dolls, Daughtry, Lady Antebellum, Foreigner, and Styx are some of the big names that are performing this year at the state fair. 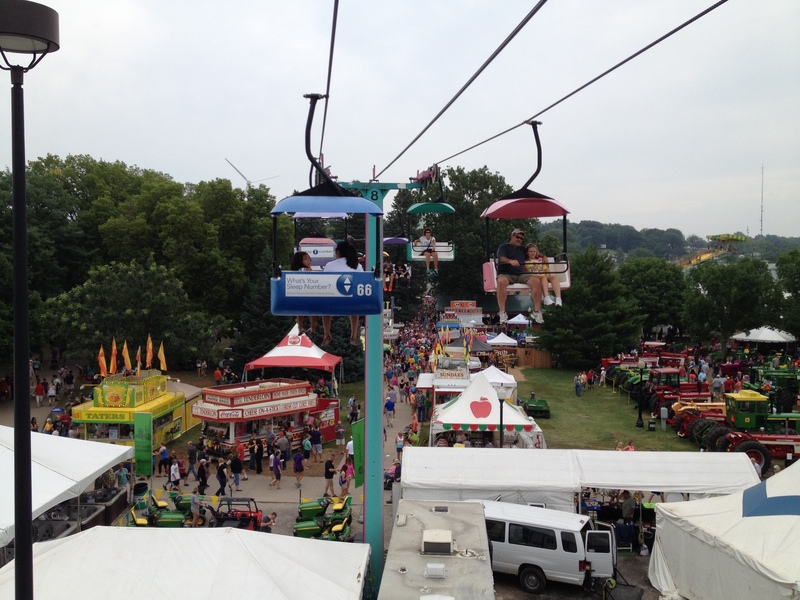 If it is the thrill of rides that you’re looking for, we have it as well. From sky glider which is like a riding a ski lift, to ziplines, to giant slides, to roller coasters, to several storey-high slingshot. We have it here. 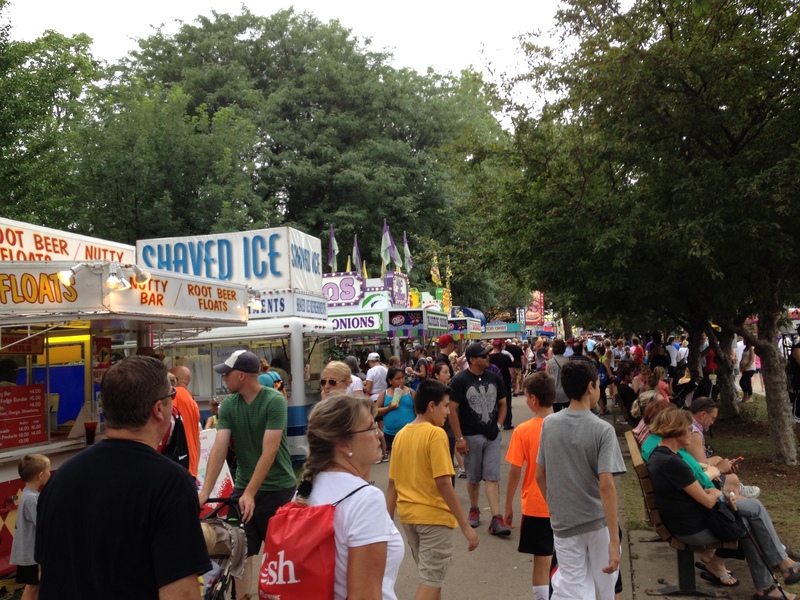 Lastly, the food at the fair is a different class of its own. They have everything on a stick. Corn-on-the-cob on a stick or hotdog on a stick? That’s too common. How about pork chop on a stick? Or funnel cake on a stick? Yes, they do have it. And everything deep-fried. Like deep-fried Twinkies, or deep-fried Milky Way, or even deep-fried butter! You read it right. Deep-fried stick of butter on a stick! They might as well call it heart attack on a stick! 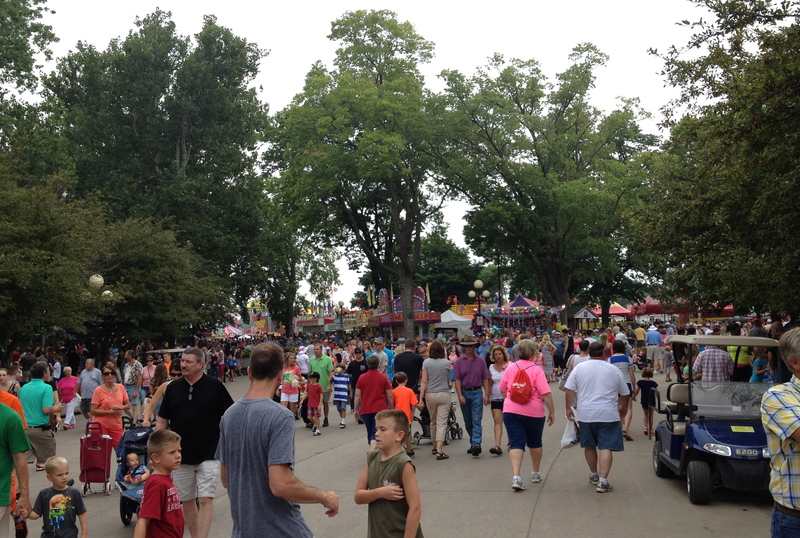 For me though, the most interesting show in the fair, are the people themselves. With their different strangeness and idiosyncrasies, just watching the people is entertaining enough for me. I may be one of those bizarre ones. It’s way more than fun. Come for a visit and see it for yourself. And bring your weirdness with you. It’s accepted here.